A copy of an original Brass data plate, with black paint. 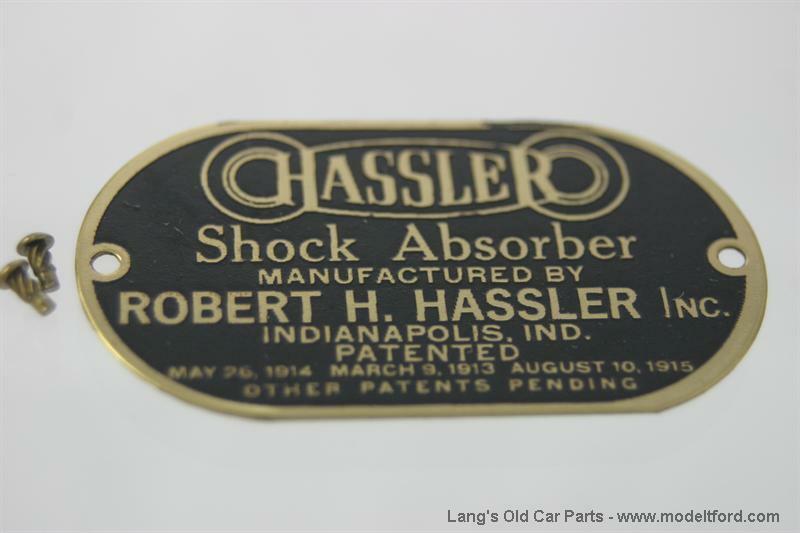 Has Hassler Logo, manufacturer and patent information on it. 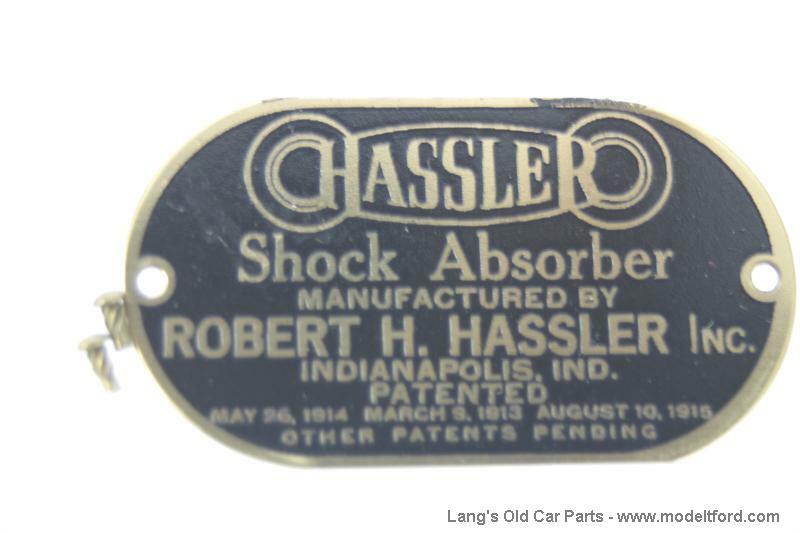 Is riveted to the Hassler shock absorbers used on Model T's. Includes the mounting rivets. Do the Hassler data plates come with rivets or screws? It comes with rivets to mount it to the housing.